The quality and size required for the industry is available in various sizes with different densities and top class quality with us. Established in the year 2008, we Infinite Pro Pack Private Limited?, are able to maintain our stature as a prominent manufacturer, supplier and trader of a wide range of Thermocol, Air Bubble & EPE Products. 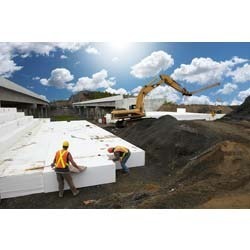 Under this range, we offer Thermocol Sheets, Thermocol Boxes, Thermocol Fabrication Packaging Products, Thermocol Moulded Packaging Products, Thermocol,Air Bubble Rolls and Air Bubble Pouches, Geofaom, Geofoam Filling, Light weight filling solutions, Stretch Film, Bopp Packing Tapes to name a few. Developed using premium grade raw material, which is sourced from reliable vendors, this range is in strict conformation with the highest quality norms. Along with this, the offered range of thermocol products is utilized in homes, offices, showrooms, hospitals, banks and hotels. Also, disposable dinnerware offered by us are attractive, unbleached, food safe and far more robust as compared to the traditional paper plates. Air bubble products offered by us are known for their shock resistant nature and corrosion resistance. Along with this, our offered range of EPE Products is utilized in packaging applications for electronic, electrical items of residential, industrial, commercial and home-made appliances. These products are made available in different sizes, colors and prints in accordance with the varied demands of customers.